Belle Meade Farm works in conjunction with Belle Meade Montessori School. 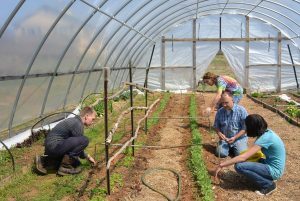 Students learn skills for sustainability by working around the farm and helping with farm chores. Families and community members buy food from the farm that their children helped to grow, thereby helping to support the school. Welcome to Belle Meade’s Community Supported Agriculture (CSA) program. Belle Meade Montessori School is located on a sustainable working farm in Rappahannock County. We are a small, non-profit private school that combines academic excellence and sustainable living. 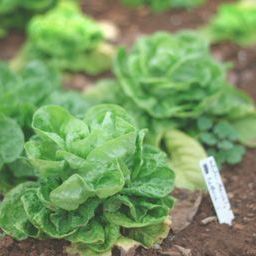 Our school incorporates year round vegetable gardening, food preparation and preservation as well as the care and feeding of our grass-fed livestock, pasture raised pigs, and pastured chickens into our curriculum. 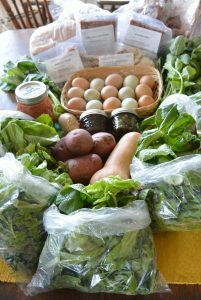 We are happy to offer the community a share of our farm goods with a membership into our CSA program. 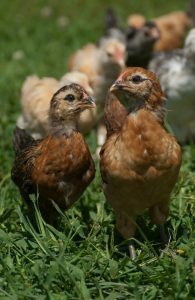 The Summer CSA program will offer shares full of fresh garden vegetables, meat from the farm and eggs from our happy chickens. Occasionally other products such as honey, cut flowers, fruit, herbs, and preserved farm foods may be included into the shares. This summer our program runs from May 10 through September 6. There will be a total of 18 share distributions, at $40 per share, for a total cost of $720. Pick up on Fridays from 4:00 to 6:00 p.m. or Saturdays from 10:00 to 12:00 (or mutually agreeable time) at Belle Meade Bed & Breakfast. For more details download and print our Summer CSA 2019 form to join our Summer share program. Vegetables: Belle Meade vegetables are grown using sustainable organic gardening practices. They are grown without the use of any chemicals and only applications of organic fertilizers and plant based insect deterrents as needed. The vegetable selection may include a variety of the following: kale, colorful lettuces, spinach, Asian greens, snap peas, carrots, beets, radishes, onions, beans, scallions, summer squash, okra, peppers, tomatoes, cucumbers, corn, eggplant, potatoes, garlic, cabbage, and broccoli. Culinary herbs may include colorful basils, chives, thyme, anise hyssop, mint, lemon balm, sage, rosemary, cilantro, parsley, and fennel. Eggs: From pastured hens eating a natural diet (non-GMO, no hormones, or antibiotics).